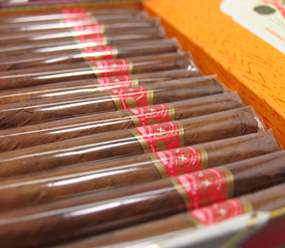 Partagas Chico (Purito) | Old Morris Tobacconist Victoria BC, Fine Cigars, Humidores and Tobacco Merchantile. Though the Chico is tiny, its uber-thin frame is chockfull of powerful Partagas flavour. The long and intense aftertaste is an added bonus as well. Perfect for a strong, quick and casual smoke.